Once you have added and set up 8x8 integration with Okta as needed, you can change the synchronization and mapping settings of the integration to best suit your organization's user provisioning needs. 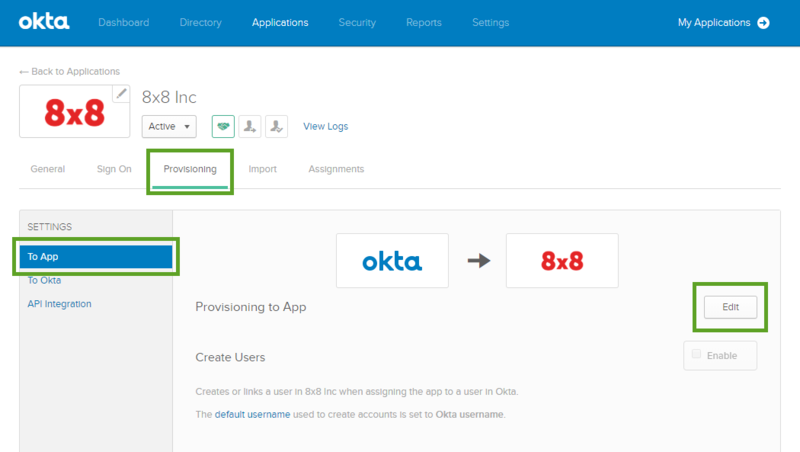 Under Applications in Okta, open your 8x8 integration app details, and then go to Provisioning > To App. Click Edit to begin enabling or disabling features of the integration. By default, all features are enabled. Automatic user creation in 8x8 Configuration Manager when you assign the 8x8 integration to a user in Okta. 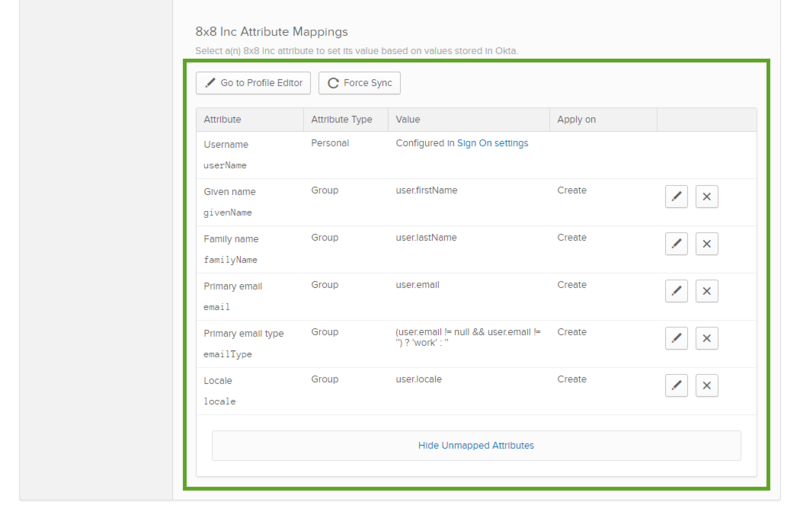 Automatic user detail sync to Configuration Manager when you change user details in Okta. Automatic user deactivation in Configuration Manager when you unassign the user from the integration or deactivate the user in Okta. Depending on your selected features, the features display as icons at the top of the app details page. You can see at a glance whether features are enabled (in color) or disabled (grayed out). 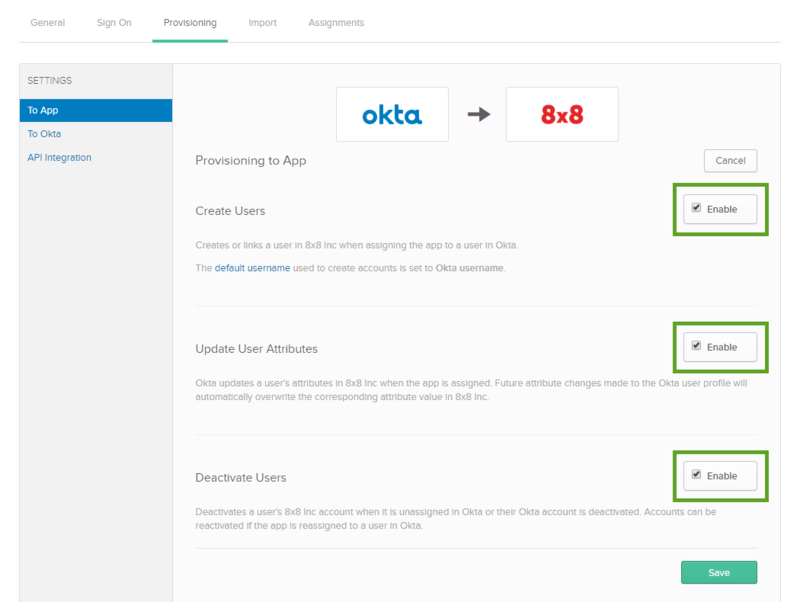 You are now ready to assign Okta users to the 8x8 integration.